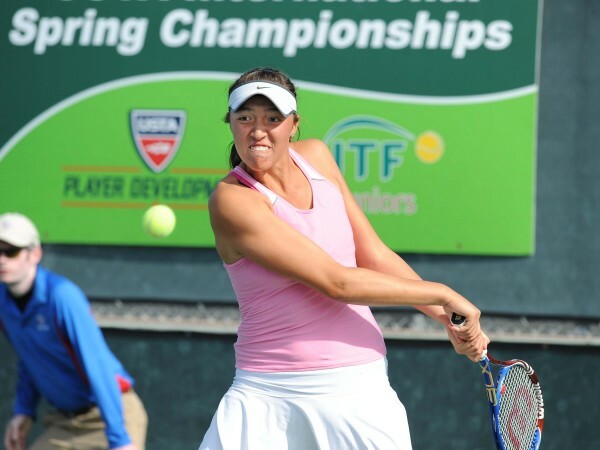 Samantha Crawford, who trains at the USTA Player Development Training Headquarters in Boca Raton, Fla., and hails from Atlanta, became the second consecutive American, and third in the last five years, to win the US Open Girls' title over the weekend, beating Anett Kontaveit of Estonia 7-5, 6-3. The 17-year-old Crawford was a wildcard into the event since her ranking was at No. 90 on the ITF junior rankings, and she made the most of her opportunity with four seeded upsets before taking down the No. 12-seeded Kontaveit in the final. "I thought she came out playing really well and kind of forced me to try to play better," said the 6-foot-2 Crawford, who kept the Estonian off balance with her serve and booming groundstrokes. "I think as the match went on, I started serving better, making more shots and playing better overall." Kontaveit defeated Americans Taylor Townsend and Florida's Vicky Duval in the quarterfinals and semifinals respectively. "Sam played really well, she played so aggressive," Kontaveit told www.zootennis.com. "Her serve was working so well and she played her best tennis, I think, so it was really tough out there for me...I don't even know what I could have done. She just played too good." Crawford follows Grace Min (2011) and CoCo Vandeweghe (2008) as Americans to win US Open Girls' titles in the last five years. Crawford as a wildcard also qualified into the US Open women's singles main draw, losing a tight match to Britain's Laura Robson, who went on to upset seeds Kim Clijsters and Li Na. "We are extremely proud of Sam and the total team effort of her family, coach Kathy Rinaldi and the entire USTA Player Development team in Boca Raton," said USTA General Manager of Player Development Patrick McEnroe. The US Open Girls' titles were a sweep for the U.S. as Taylor Townsend, of Jonesboro, Ga., and Gabrielle Andrews, of Pomona, Calif., won the doubles championship. 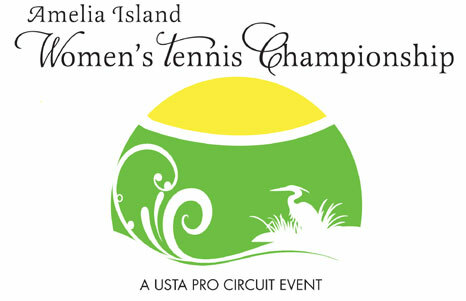 The Amelia Island Women's Tennis Championship presented by Emanon Records, a USTA Pro Circuit event, will be held on Sept. 23-30, 2012, at the Omni Amelia Island Plantation in Amelia Island, Fla. The qualifying rounds will start on Sept. 23, and the main draw will begin on Sept. 25. Qualifying and main draw events are complimentary and open to the public, while the semifinals and finals events are a $10 donation benefiting the Juvenile Diabetes Research Foundation. Family-friendly events include Wilson Kids' Day from 3-5 p.m. on Sunday, Sept. 23 (free tennis clinic with pro players, boxed dinner and matches on stadium court; a Pro-Am tournament followed by dinner from 4-7:30 p.m. on Monday, Sept. 24 (for $60, enjoy the Pro-Am match-up, then dinner presented by Ciao Italian Bistro and a private meet and greet with players); and live local music under the oaks in the Corona Beer Garden from 4-6 p.m. on Friday, Sept. 28 (live local music, free of charge, featuring musicians Sean McCarthy, Hugh Williams and friends). One of the featured players will be 16-year-old Mari Osaka of Pembroke Pines, Fla., who won the tournament's wildcard event and received a spot in the singles main draw. She beat her 14-year-old sister Naomi in the final. The sisters also won the wildcard doubles event and received a wildcard into the doubles qualifying. "We were very impressed with the level of play and tennis enthusiasm at the women's wildcard tournament in August," said Scott Colebourne, resort director of tennis. "Osaka will make a great addition to the line up of aspiring players at the Pro Circuit event." For more info on the event visit www.omniameliaislandplantation.com.